Indulge yourself in quiet comfort. 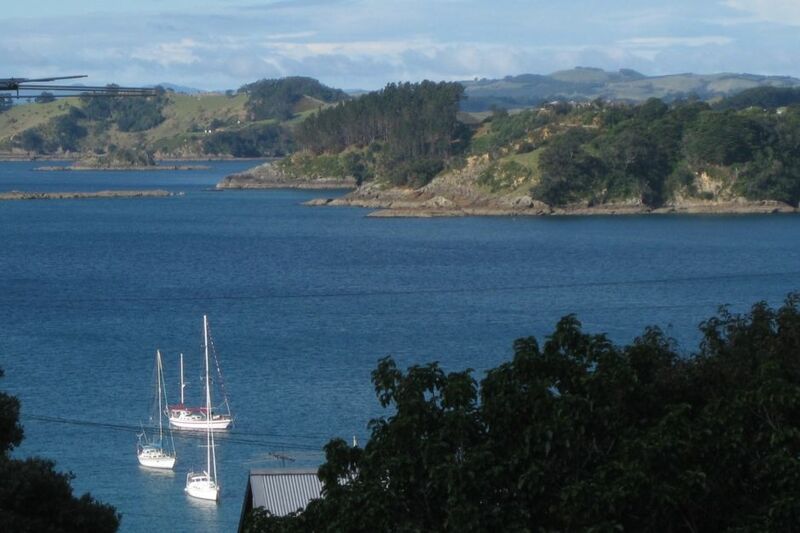 Delight in the views over Oneroa Bay gazing at the many yachts that moor for the night to enjoy the ideal anchorage of a protected bay. Listen to the native birds singing in the Pohutukawa trees and watch the wood pigeons dart and frolic. Oneroa Village,the main retail centre is only a short stroll away and the passenger ferry terminal at Matiatia is 20 minutes walk. Charming and relaxing describe this gorgeous getaway; a perfect break from the hustle and bustle of a busy and stressful life. Plum Tree Cottage is well set up for a relaxed and self-contained stay; perfect for couples, it has a large bedroom with king size bed and high quality bed linen with a selection of pillows. A sizeable dining area incorporating a kitchen has views out over Oneroa Bay. A cozy lounge with flat screen TV, DVD, stereo, sofa and chairs, and writing desk, make for a comfortable and relaxing area. A deck with chairs and side table is ideal for morning coffee or evening drinks, while taking in the view. An outdoor area overlooking the large vegetable garden has seating and a gas barbecue. A dining table for 4 people, with comfortable sofa, bookcase with a selection of short read books, paintings and wall hangings are included. Oneroa Village is 500 m from the cottage, a gentle flat stroll. The views from the cottage are stunning, sweeping past five headlands and Gannet Rock to the Coromandel Peninsula in the distance. Morning sunrises are outstanding! Welcoming, spotless and very comfortable this little gem of a house with a lovely veiw. We couldn't have asked for more on our recent stay. Property was superb, exactly as per description. Plum Tree Cottage has been renovated and maintained with a high attention to detail. All our needs had been anticipated. Bed was comfortable, with luxurious linen. Loved the proximity to beach and town. Thoroughly recommend. Just as the pictures show, a very cute place with everything you need and a stone's throw away from the beach and shops. You might even get a visit from the local bunny.